While iOS 8 isn’t much of a step-up over iOS 7 technically, it does have many cosmetic and usability improvements over its predecessor. Apple is claiming that iOS 8 will change the way you use your iPhone forever because of the innovative new features that have been included with it. We think Apple may be on to something – some of the features on the new iPhone are really useful, useful enough that we don’t miss iOS 7. 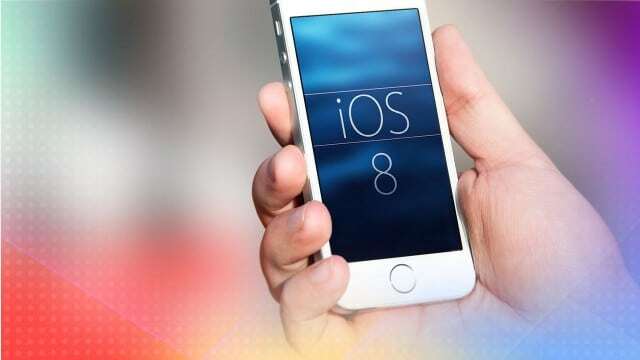 To help you get the most out of iOS 8 and access its best features quickly, here is a useful list of iOS 8 shortcuts that you should try today. You no longer have to navigate out of your app if you get a message from someone. Apple has introduced interactive notifications with iOS 8. If you get a message from your friend while you’re using an app, it will show up in a notification at the top of your screen. You can drag the banner down, so that it becomes a transparent overlay that covers your screen and does not disturb the app that you are using currently. You can type a reply here, send it and get back to what you were doing before. 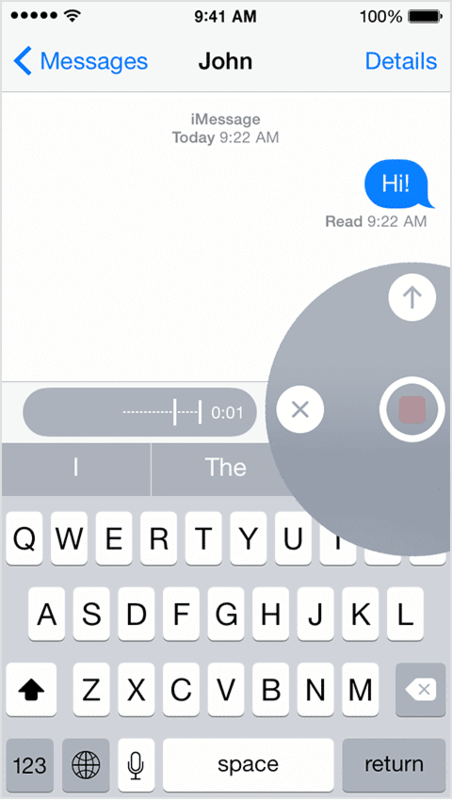 You can now chat with your favorite people by double tapping your home button. Your favorite contacts – the people you chat with the most – will appear in circular portraits at the top of your screen. 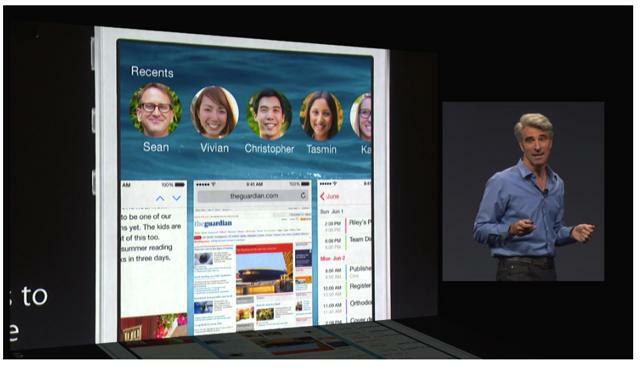 You can tap the portrait and then you can call, message or video chat (FaceTime) with them. You can now send audio and video messages with text. To do this, just hold down the microphone icon on your keyboard. 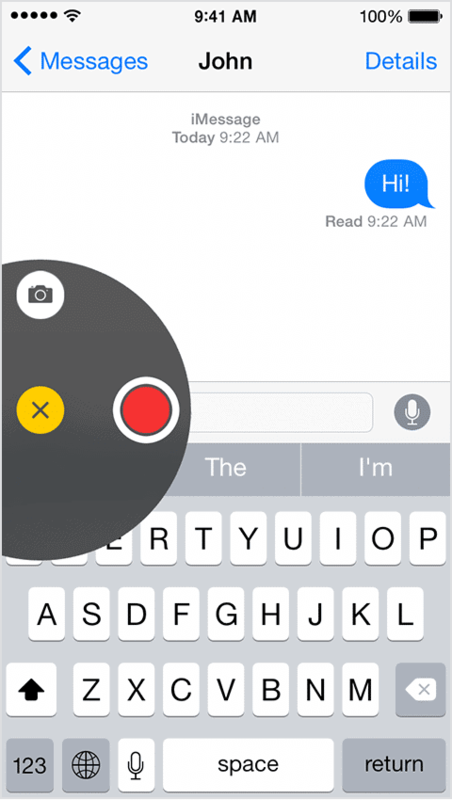 Your iPhone or iPad will automatically start recording messages. Just speak your message and stop holding the icon to stop recording. You can review your message before sending it. Its the same process for video or picture messages. Just hold the camera icon on the left side of the keyboard and proceed with the recording. Everybody loves Siri (we kid you not!). Apple now lets you use Siri hands free. You no longer have to hold down the home button to activate Siri. To make Siri hands free, go to General Settings > Siri and slide the “Hey Siri” option on. Now, whenever you have a question for Siri, start your sentence with “Hey Siri” and Siri will respond. 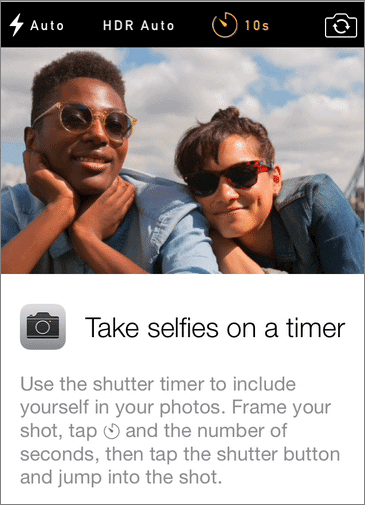 Instead of clicking your selfie the regular way, you can use the new timer in iOS 8. You can have your phone click your pic in 3s or 10s. The option is available at the top of your screen, once you open the camera app. Need to search for something on the web? Use Spotlight to do it quickly! Spotlight will now automatically search the web, including Wikipedia, as well as your device when you type something in the Spotlight field. Spotlight will also take into account the context of your search. When you type a location, for example, it will bring up a map. Safari will now let you surf desktop versions of websites. If you want to do that, navigate to the website, tap on the search bar and swipe upwards. This will open the desktop version of the site. Shortcuts to certain apps now appear on your lock screen. If you pass by your local Starbucks, for example, a prompt for the app may appear on your lock screen. Your lock screen also carries a new medical card, which anyone can access in case of emergencies without having to unlock your iPhone. Apple is finally letting us use third party keyboards. 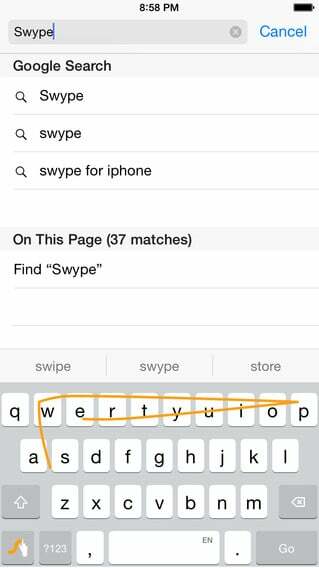 That means you can now use Swype for faster typing on your iPhone or iPad! iOS 8 automatically pre-loads the first hit that you get when you begin to type in a website’s name. This makes surfing fast, but it will use your data. To change this (or not), go to Settings > Safari and toggle Preload Top Hit. While surfing, you can open the page you were previously on by swiping from the left of the screen to the right of the screen. To go forward once again, swipe from the right to the left. This would speed up surfing significantly. iOS 8, as you can see from the list, has a bucket-load of features that will take some getting used to. All the shortcuts here are very useful, we think. Try to get acquainted with as many as you can to save yourself some precious time. Have you updated your device to iOS 8, yet? Share some of the time-saving tips and tricks that you have up your sleeves.